A body is discovered in a chicken run . . .
Young Norman Thorne finds himself involved with Elsie Cameron and reluctantly promises to marry her. He buys a chicken farm to try to raise the funds for the wedding. Under financial and emotional stress, he finds himself in a hopeless situation ... but does he resort to murder to escape Elsie's clutches? 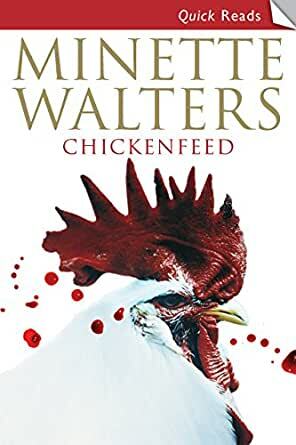 Based on the true story of the 'Chicken Farm Murder' which took place in East Sussex in 1924, Minette Walters brings a thrilling interpretation to this real-life mystery. Published to critical acclaim throughout the world, Minette Walters has cemented her reputation as one of the most exciting crime fiction writers today. Minette lives in Dorset with her husband and two children. This account of the chicken run murder might be accurate, but it's not very respectful to the victim and not even really that curious about the killer. I came away wanting more and knowing I wouldn't get it here. As with most short stories or novellas, you wish it could be longer! This little gem could have been turned into a longer story but the author chose to stick with a compact tale with well-drawn characters and her "factual" style. Recommended. This mini-novel by Minette Walters did not disappoint. I was so sorry when it ended, eager to read more from one of my favorite authors. I enjoyed her quirky mind-games and plot twists just as much as I have in her full-length books. Book arrived in very good condition.